Donation from one of our favorite coffee shops in town! The Mars Hill Arts Center was blessed with a $1,097 donation thanks to the generous tips from Calvin Fletcher's Coffee Company patrons and the CFCC Charitable Foundation in Fountain Square! Three foundation members presented co-founder Lisa Schmitz with the check in February after a successful month of giving in January 2019. We are so grateful for their partnership and love and giving to organizations like ours and to the arts! 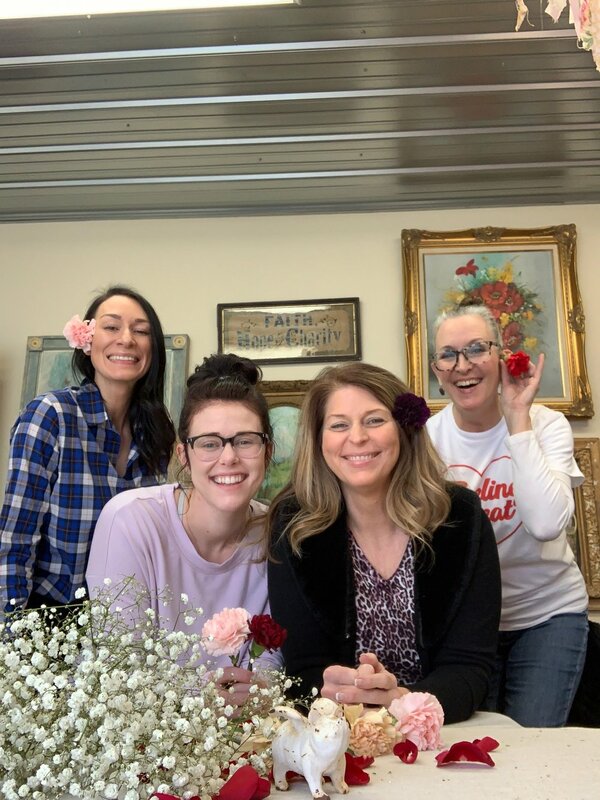 Floral Fun for Valentine’s day! NEW POTTERY TEACHER COMING SOON!